Seeing as we’re half-way through August, I decided to do a quick update on our Summer Bucket List. We’ve made some pretty good progress with checking things off the list, and with only a couple weeks to go (I’m ending the list on September 6, 2016), it still gives us a bit of time to get some more done! This summer has passed by really fast, and seeing as Keith is starting college next week (!!) and Violet starts Kindergarten (!!!) in 3 weeks, I know that this Fall will bring a lot of changes, but it’s reassuring to know that we had a good summer as a family. We surprised the girls with a trip to the local water slides last week. Both girls really loved being able to play in the water and go down the slides multiple times. Let me tell you, mine and Keith’s legs got workouts that day: up the hill, down the slide, repeat 300 million times. The girls even braved going down a big slide with us and even though they both went under the water when we landed (it was a really fast slide! ), they were both clamoring to go again! Adrenaline addicts…. We attended the local Summer Fair while it was here. Dominique was just tall enough to ride most of the kid rides, so we got tickets both days for the girls. And they were thrilled. I had to bribe both of them off the last ride (both days) when we ran out of tickets. But it was worth it to see the smiles on their faces. We were able to watch the local Pioneer Days Parade during August long weekend. Both girls loved it and managed to walk away with an considerable amount of candy. I was able to go strawberry picking once this season, but that was more than enough. I brought home 9 gallons of strawberries (2 for my MIL) and put them all into the freezer to use for vitamin water, smoothies and baking. Yummy! So far we’ve been able to visit the beach once this year. My sister and her family were camping and they invited me and my Mom to come for supper one evening. Keith was working that weekend, so I took it up to get out of the house for a couple hours. Violet practically lived in the water and Dominique only went up to her knees, unless she was holding someone’s hand. She was more than happy to help one of her cousins build sand castles. 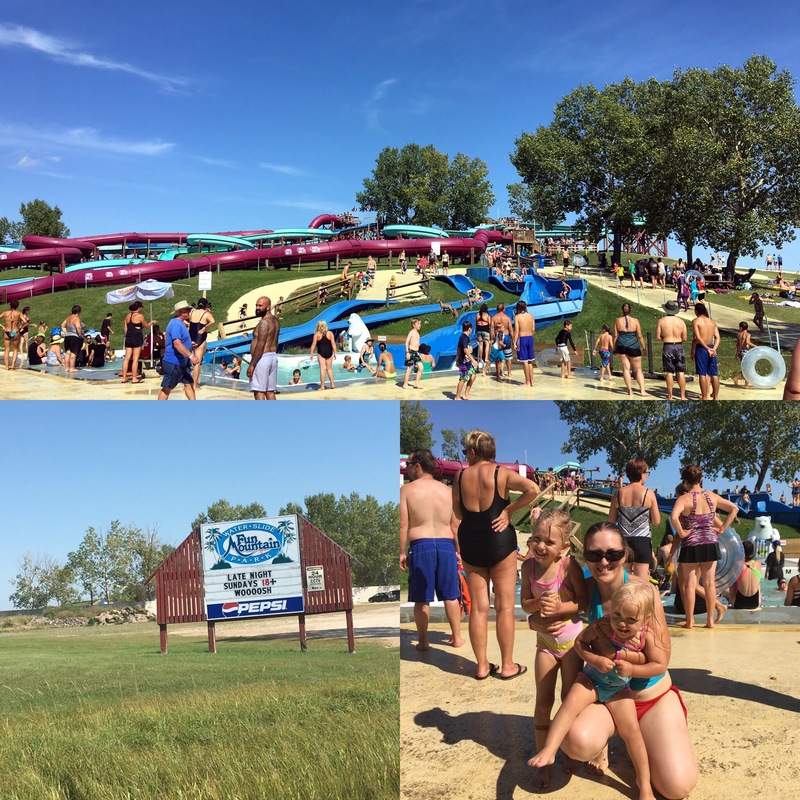 Visit the Splash Park – ALL SUMMER LONG!!! We’ve been going for multiple walks this summer (thank you Pokemon Go! ), and it just so happens that the local Splash Park has a Pokestop. So the girls get to play with new friends and me and Keith get to sit there, watch them, play a bit of our game and get quite a bit of walking done. Win-win for everyone! On Canada Day (which very thankfully Keith had off), we took the girls’ to the Children’s Museum. And they had a blast. I think we spent about 3 hours there, and would’ve spent more, except for the fact that they were getting hungry and Dominique really needed a nap by the time we left. But they explored every exhibit multiple times, especially the train. Have a play date – August 15, 2016: I don’t have a photo for this one (oops), but Violet finally got to have a play date with her best friend from Pre-School. They spent a couple hours together and just loved it. We’ve done this one a couple times this summer, but this was the first one that I documented. Mommy picked Beauty and the Beast as the family movie and the girls really enjoyed some family movie time. Play with bubbles – ALL SUMMER LONG!! I swear, every time we go outside, Dominique is always asking for her bubbles and the soccer ball. We’ve gone through quite a bit of bubbles this summer alone. But the look on her face? Worth it. The girls’ have finally taken up coloring again. Which is nice, because it’s the one activity that they really don’t fight over as they get separate supplies. And it’s a bonus as I’ve got new art to hang on the walls. One the of the best concerts I’ve been to in my life. Hands down. One of the activities at the local fair this summer and Violet was very proud of it. Until I had to wash it off, that is. I haven’t really read much this summer, but I did manage to finish one book. I had tried starting it a couple times before, but never got through it. This time I pushed through as was really glad that I did. Definitely on my read-again list. Try 3 new desserts: Chocolate Cream Pie; I was asked to make this for my brother-in-law’s surprise birthday. And it turned out pretty good! Try 5 new recipes: Lasagna; Seasoned Chicken Potatoes and Green Beans; One Pot Chicken with Rice; Slow Cooker JambalayaSlow Cooker Jambalaya; Sausage Pepper Fettuccine Skillet: Yes, I cook a lot from Pinterest. It’s a life-saver some days. Most of these recipes I’ll be using again and putting into my recipe binder.